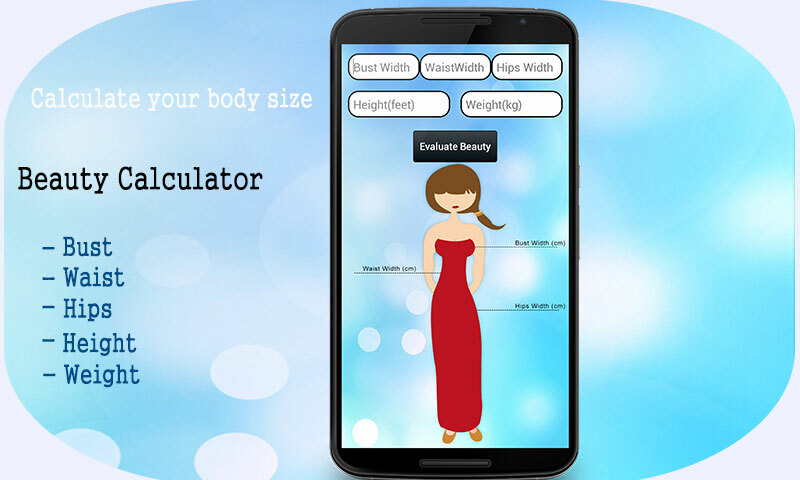 Beauty Calculator lets you Measure your Body fat according to height and weight. Further, you have to provide bust, waist and hips width to check what shape your body has and how smart you are. 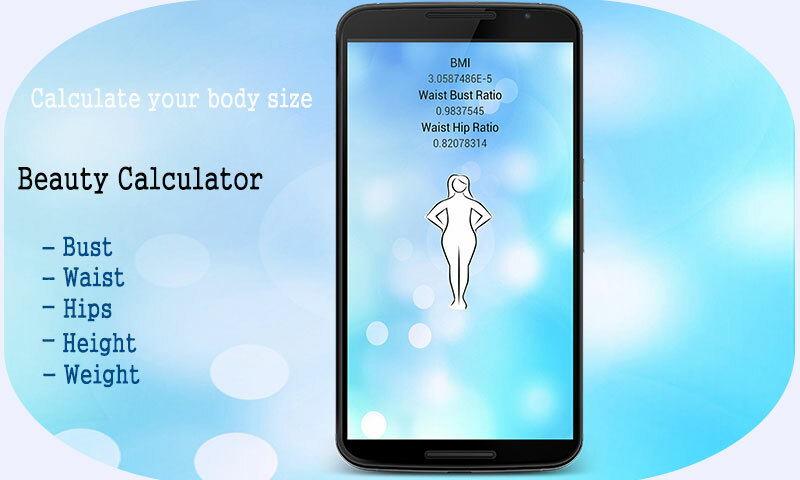 Features: â˜… Body Mass Index (BMI) â˜… Waist to Bust Ratio â˜… Waist to Hip Ratio â˜… Body Shape â˜… Very simple and easy free app Note : This statistics calculator is presented for your own personal use and is to be used as a guide only. Medical and other decisions should NOT be based on the results of this calculator. Although this calculator has been tested, we cannot guarantee the accuracy of its calculations or results. Your Feedback is very valuable to us, Please let us know so we can try to work more perfectly.